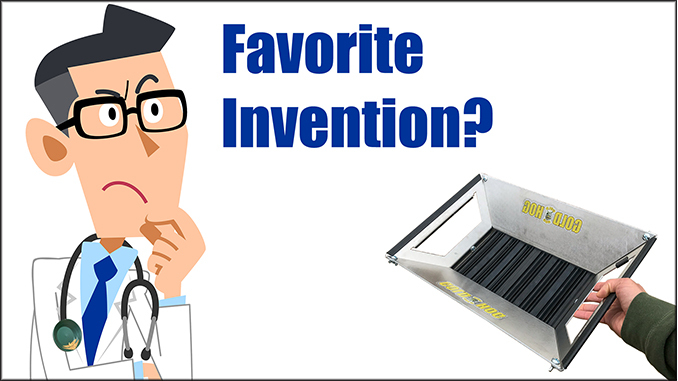 The other day someone asked me, “What product do I consider my greatest or favorite invention?” You know it was a good question because it made me pause… and took me a while to really think about it. Having lots of products and 20+ patents I gave it some time, but now I can answer. 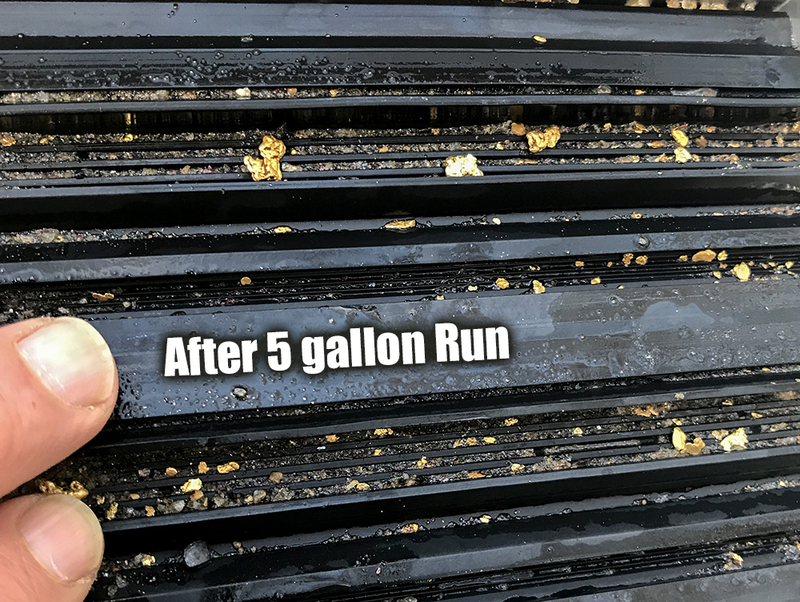 While I think the GoldHog® sluice mats have done the most to change the industry, and will continue to do so with two new mats coming out shortly, I think I am most proud of the FlowPan. First because it works so well. It REALLY is blazing fast. 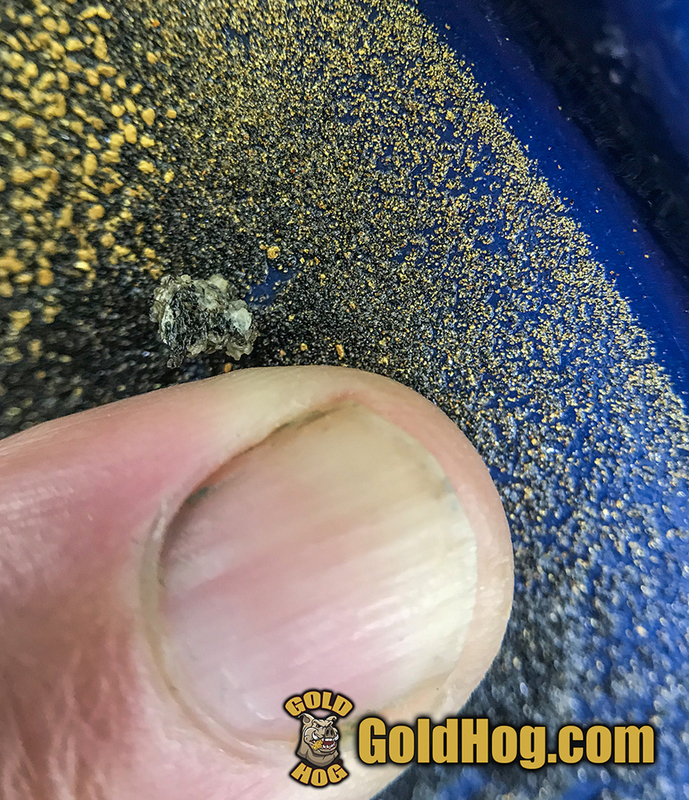 I can work a 5 gallon bucket of raw pay in about 5 minutes and have 99% of the gold sitting in the pan. (Tested over and over.) That’s the comment we get the most from people. WOW… this thing is fast. Pics below open in new window when click. Second, the TIME it took…. 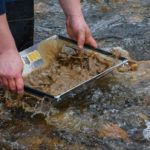 Three years before the FlowPan was invented I was talking about a “portable gold pan” and had gone in ALL… kinds of directions. (Some crazy) It even included a rubber gold pan that could be rolled up and shoved in your pocket. I must have come up with 20 different “solutions” each of them had a flaw and we ended up dropping them. One day I was looking at header box flares and thought… those look a lot like the old HOGPAN we used to make. I put four of them together and BINGO… the light bulb went off. 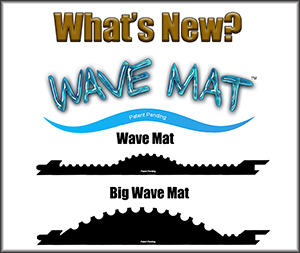 Third… beautiful design / finished product. 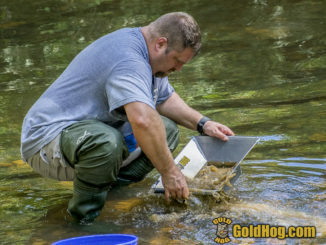 It is NOT a handheld sluice, it’s a gold pan. Sluices are banned in many areas and the product had to be a pan, unable to work or be used as a sluice in the stream. 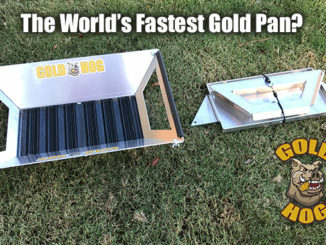 Our product is a GOLD PAN and that’s it. Fifth… It’s a great product for EVERYONE. 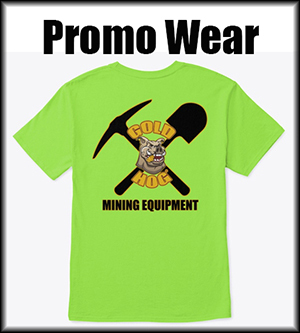 I think it’s a product that EVERY prospector and miner should own. If you just want to run to the creek and play for an hour to find a little gold, it’s awesome. If you’re about to set up a dredge and want to test areas and figure out where to run; it will guide you. If you’re a mining op trying to decide if a cut / area is worth running through the plant, your answer is quickly in the pan. I tell people all the time that when testing, a few handfuls of dirt is simply not enough to get a TRUE reading / test of the area. You can’t do the MATH based on that. You need to run a BUCKET, see the results and multiply that times 42. 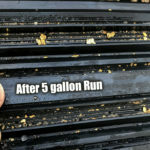 Why…because that will instantly give you your yield per yard. The new con box option is designed for people that WANT to TAKE HOME more concentrates. It also replaces the old HogPan which we had to stop producing due to massive price increases. You replace the vented sides with solid sides; add the deep con box and it holds a lot more material. 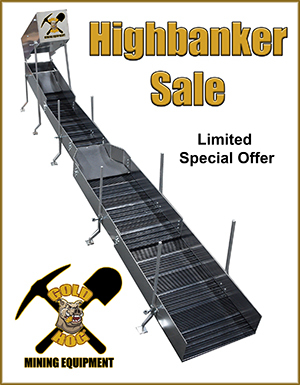 Personally, I don’t use it, but we had so many people wanting something like the HogPan we decided to offer it. 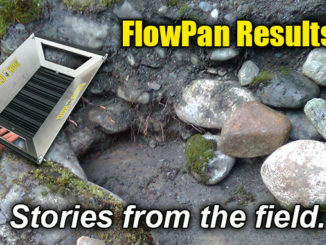 We probably get more positive feedback from the FlowPan than any other product. IT’S JUST COOL… and when you’re cool, you can’t hide it. 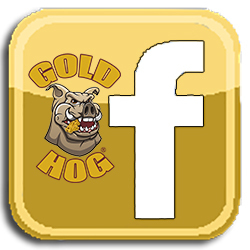 It’s also one of those products that gives you QUICK… instant results and gratification. 10 – 20 minutes in… you’re understanding just how fast it is and you’re seeing gold. It’s one of the reasons why we put a money back guarantee on it. It’s SUCH a good product I said to my staff… if anyone doesn’t agree that buys one, let them send it back for a full refund. After a year of selling them, and 1000s of them sold around the world… only ONE has been returned and I’m still not sure why it was returned. I have a feeling it was a husband / wife argument. Stop me ANYTIME you see me and look under my truck seat. You know what you’ll find. My FlowPan goes everywhere I go which is a strong statement.